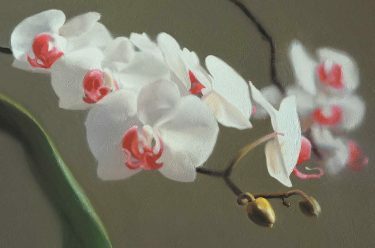 ‏For more than fifty years, Gerhard Richter has proven his remarkable command of almost every style and genre of painting. 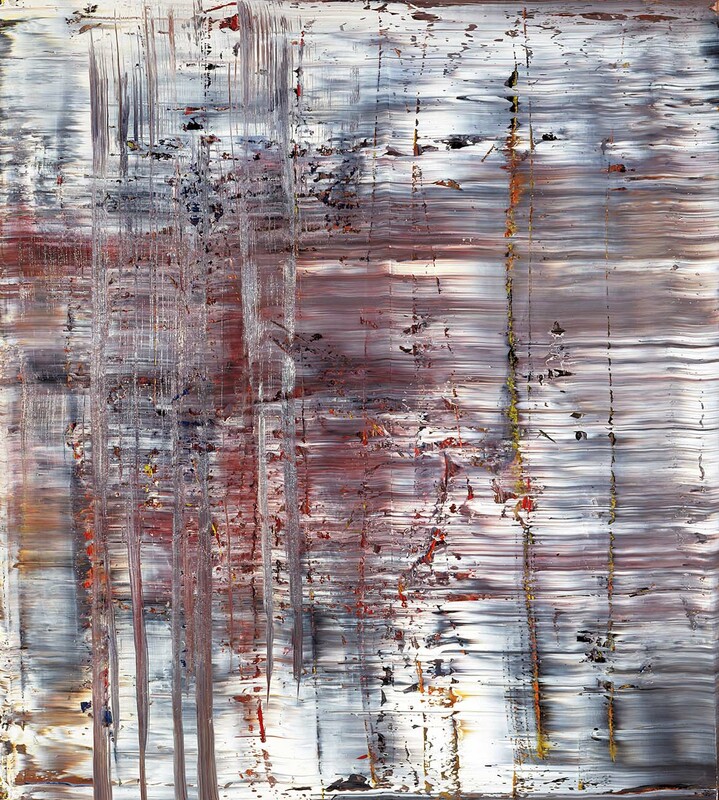 That Richter is both a figurative and abstract painter is one of the most surprising aspects of his art. His painting encompasses realism based on photographs and magazine cuttings, large-scale abstracts produced by dragging layers of paint across the canvas, romantic landscapes, overpainted photographs, glass sculptural works and many other forms. This variation and experimentation mark him as a significant force in the revitalisation of painting in contemporary art. We explore some of these styles below, and also look at how the artist’s family and history have made their way into this work. 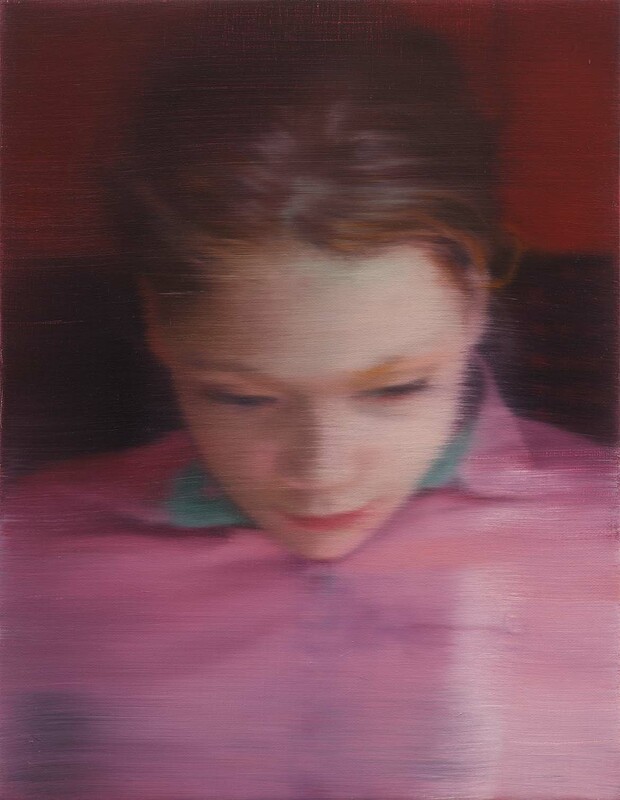 Richter’s ‘photo-paintings’ are based on photographs, images of celebrities and elements of consumer culture found in magazines and newspapers. 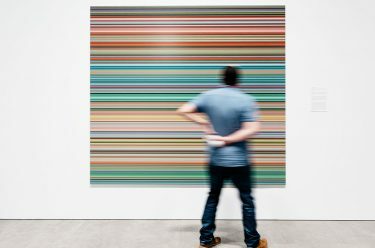 The mechanical process of copying photographic images is tempered by Richter’s characteristic ‘blurring’ of the painted image. Made by lightly brushing the wet pigment with a soft brush, this alteration of the painted surface parallels our actual perception of the world which is always passing, in flux and never fixed and still. The yearning for a direct connection to nature and experience of the world through painting is most evident in Richter’s landscape works. 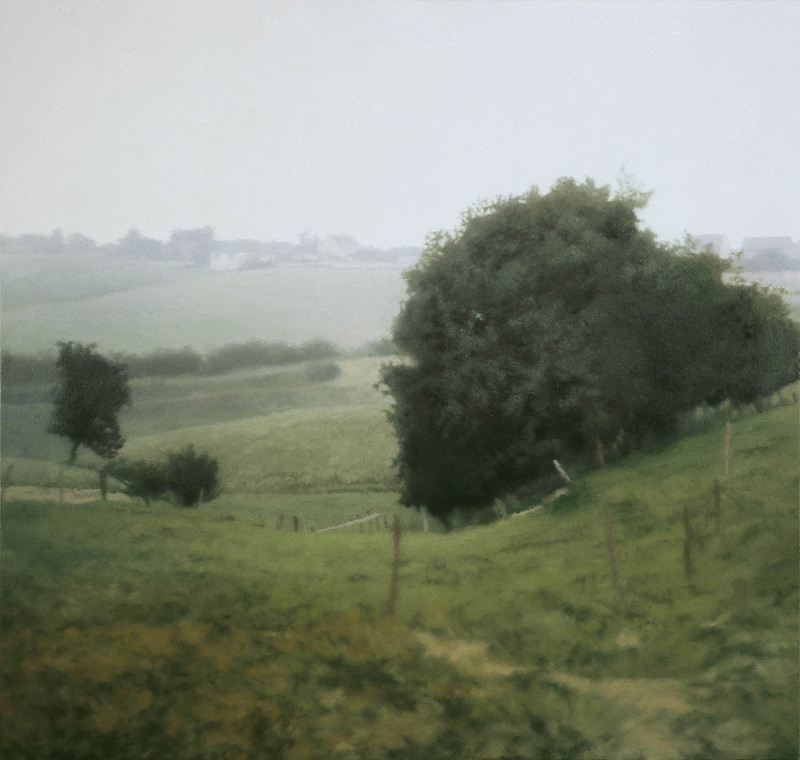 The enduring tradition of landscape painting represents the most immediate form of visual engagement with the historical conception of nature while also being defined in the modern era through photography. For Richter, nature is a vital and necessary departure point for exploring representation. Vast seascapes, clouds, mountains and lowlands have appeared regularly in his work. Many of Richter’s large abstract paintings also derive from an observation of natural phenomena: ‘They do set up associations. They remind you of natural experiences, even rain if you like’. In his abstract paintings, Richter uses a squeegee to rub and scrape the paint across his canvases to create a blurring of one area of colour into another. Often there’s a feeling that you’re looking at an out of focus photograph. 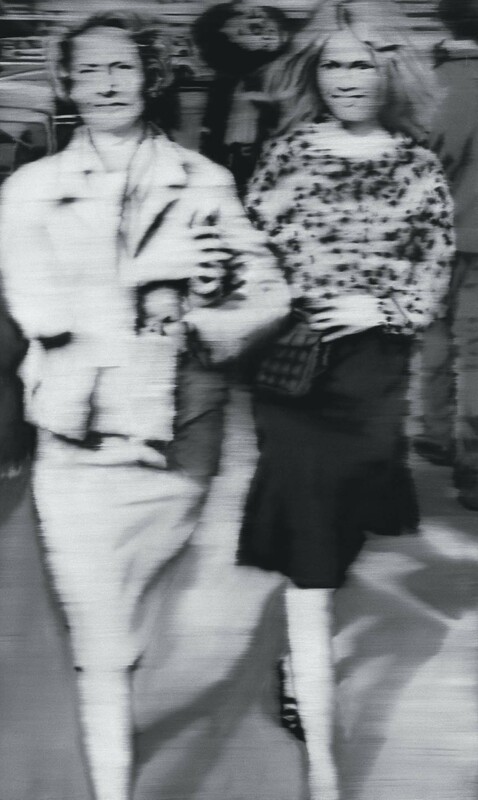 Family members feature in a number of Richter’s best known and most widely exhibited paintings. These include portraits of his partners and children, who appear in tender yet unsentimental works. 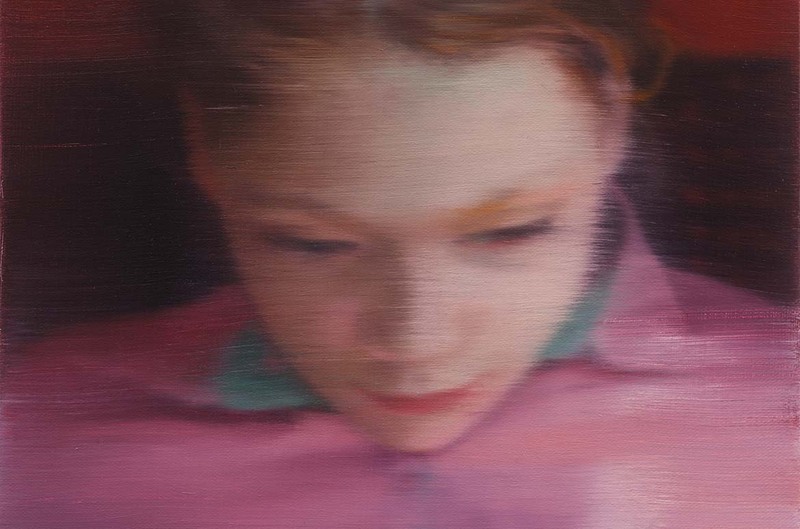 In painting his family, Richter also makes an acute personal connection to German history. A family photograph album was one of the few items Richter took with him when he fled Dresden for the West and some of these family snapshots provided the basis for early photo-paintings whose muted blue, brown and grey tones, resemble historical photographs. Blurring and other treatments of the painted surface are Richter’s means of maintaining the emotional distance, stillness and banality of such photographs while communicating the weight of historical events and physical reality. Works such as Aunt Marianne and Uncle Rudi sit at the intersection of personal and national histories yet are treated in a similar manner to found, anonymous images from the media. The truths behind the blurred veil of these family portraits were in some cases only explicit years after their making. 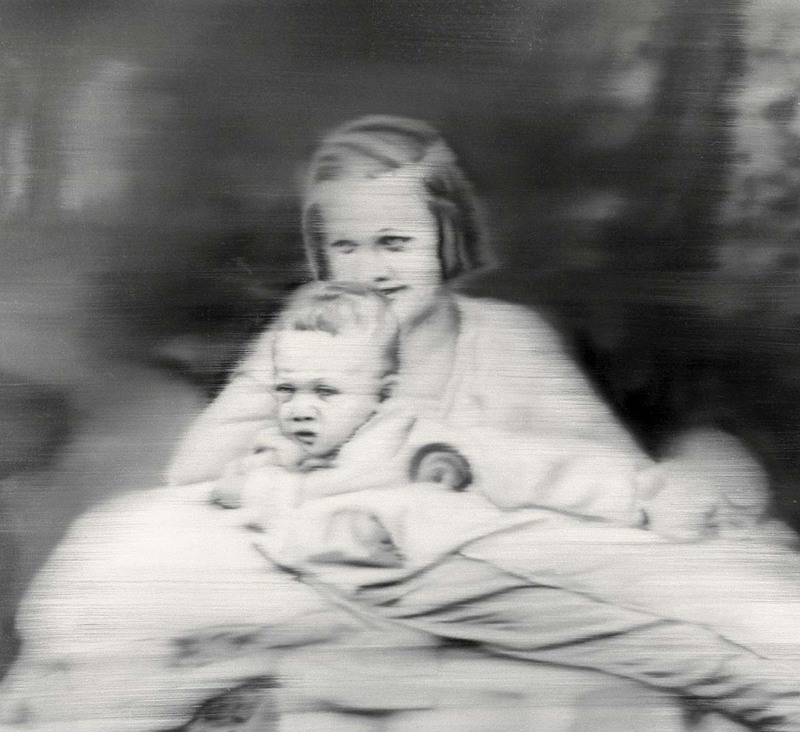 For example, Richter was unaware of the tragic life story of his Aunt and her death in a Nazi sanatorium when he painted their double portrait, which includes the artist as a baby in the foreground. Gerhard Richter has responded to traumatic events in history, including World War Two and the horror of the Holocaust, while also investing all manner of everyday images, both public and private, with a deeply personal emotional register. His work profiles an artist whose sustained and influential practice has both rejected and embraced tradition while confirming painting’s mystery and durability as an art form. ‘Gerhard Richter: The Life of Images‘ at GOMA from 14 October 2017 until 4 February 2018 featured over 90 works from six decades of Richter’s career. Drawn from major museum and private collections, as well as Richter’s own personal archive, the exhibition provided a unique opportunity to view the diverse range of his exploration of painting.